Is the Ace 2 still available? Ace22, 06 May 2013It has scratch resistant glass. don't to belive to the specificationAre you sure? Maybe you had ever tried the LCD oe experience yourself? wilson, 05 May 2013it says that it has 4GB internal memory so why is it that when i ask about it in the store the... more4BG total internal. 2GB available... that's it..
samting, 05 May 2013Hi guys! I am a bit confused about its screen hardware cause on the phone review it says it ha... moreI don't think so, I used to see the spesification. wilson, 05 May 2013it says that it has 4GB internal memory so why is it that when i ask about it in the store the... more4 GB s the total memory. Actual memory for users are 2 GB only, other 2 GB for systems. This is the same Galaxy S III Mini, total 8 GB, but for users are given 4 GB only. Hi guys! I am a bit confused about its screen hardware cause on the phone review it says it has a scratch-resistant glass but on the specification it doesn't tell that it has. So i just wanted to know, does this phone has a scratch-resistant glass or any screen protector? Please answer. Thanks! it says that it has 4GB internal memory so why is it that when i ask about it in the store they says it's only 2GB internal memory so which is true?? tecktonalex, 04 May 2013Does this has gorilla glass?No, it doesn't. what is the best battery savet for my ace 2????? Does this has gorilla glass? hi everyone. I'm saving money to buy another good phone in order to get on newer o.s. versions. 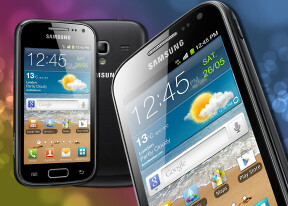 These our phones ( good ones absolutely, high quality, finish, display, etc.,why didnt we get ICS?) with 2.3.6 will never get the proper adapted and lagless running jb nor other upgrade ever, and since they are uncapable to withstand the potency required by those o.s. and upcoming ones. God bless you, in Jesus. AnonD-76466, 03 May 2013Bro, I need your help. How can we make playlists on our galaxy phones when it is connected ... moreI don't know about that. I don't have computer and never try like you said. I need your help. How can we make playlists on our galaxy phones when it is connected to a desktop or laptop which has a windows explorer? Any idea? Because creating a playlist manually on a smartphones with a huge number of songs is pain in the a$$. My galaxy ace 2 running android 2.3.6 and its default messaging app does not contain the sender's number just the name only. If there are two numbers saved to the one person (like mobile 1, mobile 2) then how we can identify from which number we got the sms?? medias, 02 May 2013can we make native video call on it without 3rd app?Yes, we can. It has video call camera. can we make native video call on it without 3rd app? I had tried it, many lags and slow performance.